Local Wealth Building is a new approach to economic development that addresses the failure of the current agenda to generate significant benefit for local economies and people. Born out of a frustration with “development as usual” approaches, Local Wealth Building provides a practical framework for generating and spreading wealth within communities. This publication distills the learning from these places and charts a course for a future in which Local Wealth Building is the mainstream of local economic development theory and practice in the UK. This publication by CLES (Center for Local Economic Strategies) was developed for the Birmingham Local Wealth Building Summit, which took place in July of 2018. Part Two details Local Wealth Building work taking place in Birmingham, Europe’s largest local authority area. Recent work with six Birmingham based Anchor Institutions has demonstrated the potential for them to play a defining role in shaping the city’s economy and these organisations have committed to collaborating to fulfill this potential. CLES is the UK’s leading independent think-and-do tank realising progressive economics for people and place. Their aim is to achieve social justice, good local economies and effective public services for everyone, everywhere. 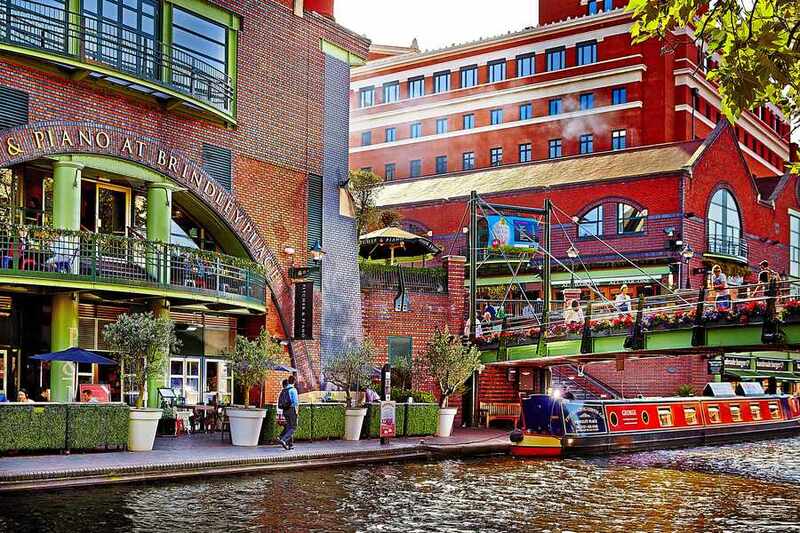 Image courtesy of Birmingham’s Brindleyplace.